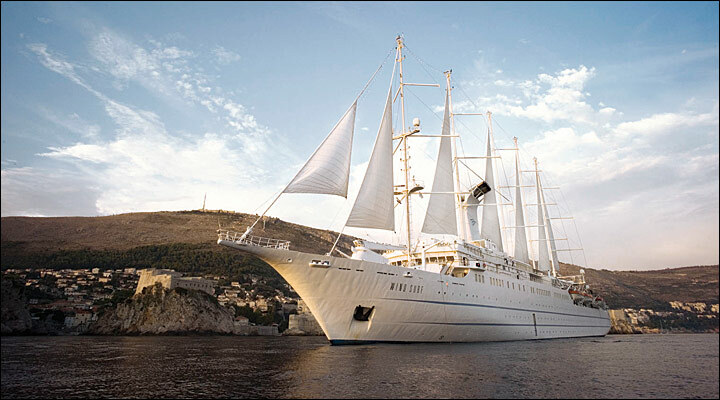 On any day, the 310-guest flagship, Wind Surf, draws admiring glances as she glides majestically into port with her tall sails billowing. And her beauty is far more than skin deep. Starting with all new finishes and furnishings in suites and staterooms, Wind Surf renovation now brings you some of the most beautiful public spaces at sea. During your cruise, you will find the perfect setting for ‘making an entrance’ in the beautiful new reception area – and, appropriately, that’s only the beginning. 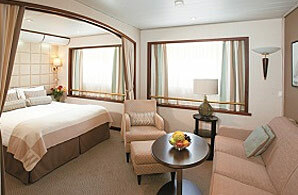 When you return to your stateroom, the luxury gets personal. 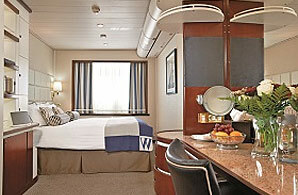 Windstar’s signature bowls of flowers and fresh fruit will still be waiting for you, along with rich tufted headboards, soft seascape colors, beautiful new upholstery, and fine count Egyptian cotton linens welcome you to an oasis of relaxing indulgence.